We are delighted to announce that we have just launched three new products adding to our range of spice blends under the new ‘So Simple’ brand. The family favourite recipes of Stroganoff, Jambalaya and Chilli are designed for people who love home cooked food but don’t have the time to source a long list of ingredients. Italian Classic and three curry blends, African Swahili, Goan Xacutti and Indian Keema are now available in our new packaging. 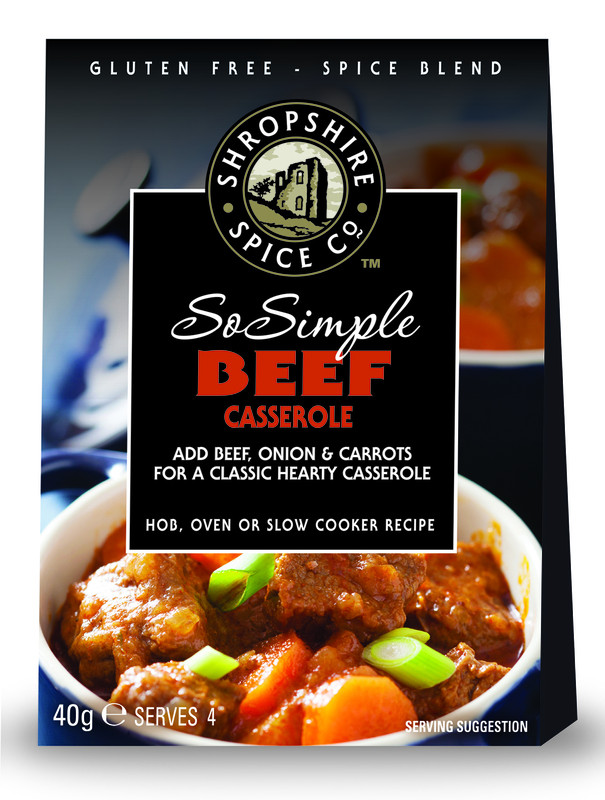 The new ‘So Simple’ range recipes are now all Gluten Free, in response to customer requests and show how meals can be created in minutes. A great alternative to keeping lots of spices that are seldom used! 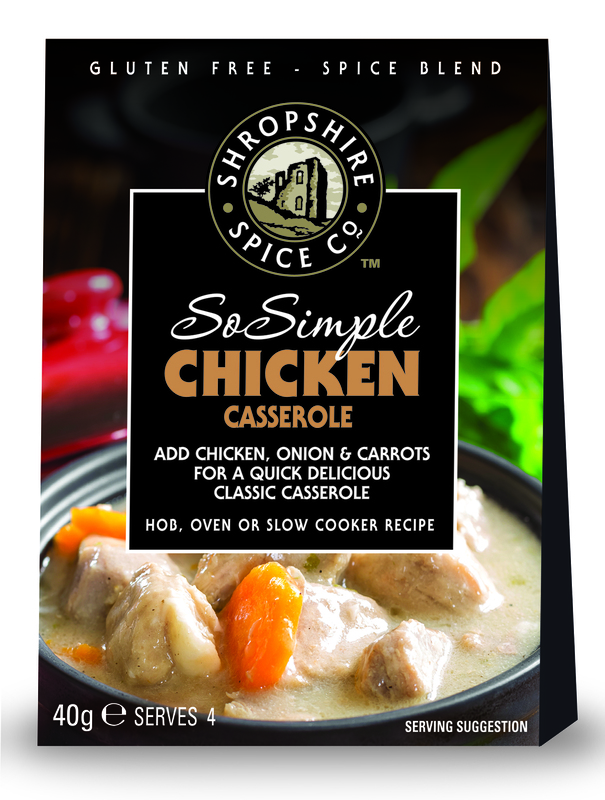 Gluten Free Chicken Casserole Spice Blend - Add chicken, onion & carrots for a quick delicious classic casserole. 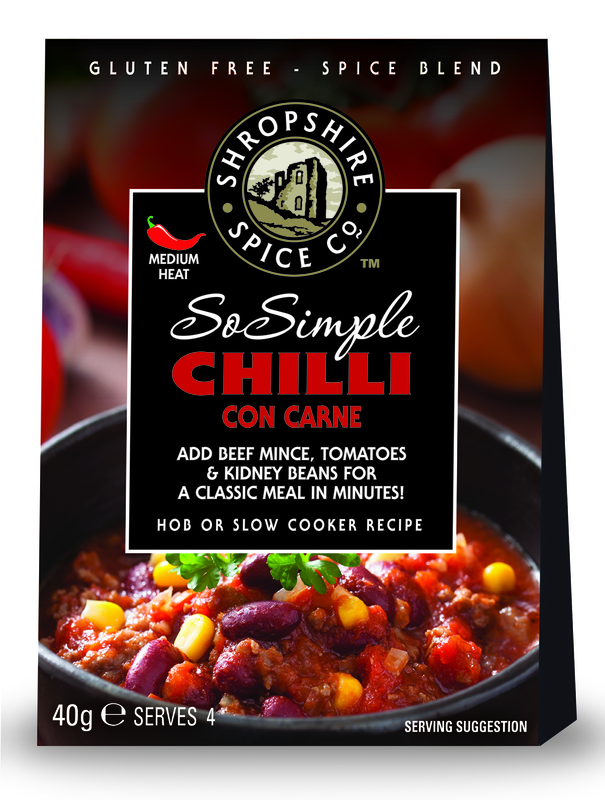 Gluten Free Chilli Con Carne - Add beef mince, tomatoes & kidney beans for a classic meal in minutes. Hob or Slow cooker recipe. Ingredients: Rice Flour, Onion Salt, Ground Cumin, Smoked Paprika, Onion Powder, Onion Pieces, Garlic, Coriander, Brown Sugar, Cocoa Powder, Red Pepper, Chilli, Tomato Fines, Oregano, Black Pepper. 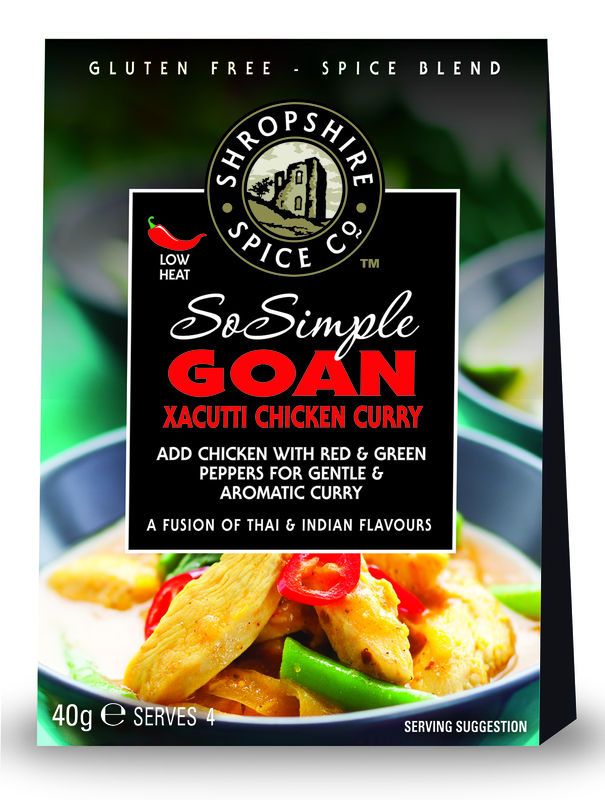 Gluten Free Goan Xacutti Chicken Curry Spice Blend - Add chicken with red & green peppers for gentle & aromatic curry. Ingredients: Brown Sugar, Onion Salt, Desiccated Coconut, Cumin, Lime Juice Powder, Yeast Extract, Rice Flour, Garam Masala, Roasted Onion Flakes, Garlic, Roasted Onion Powder, Coriander, Black Pepper, Cinnamon, Nutmeg, Red Chilli Flakes, Natural Colour (Paprika Extract). 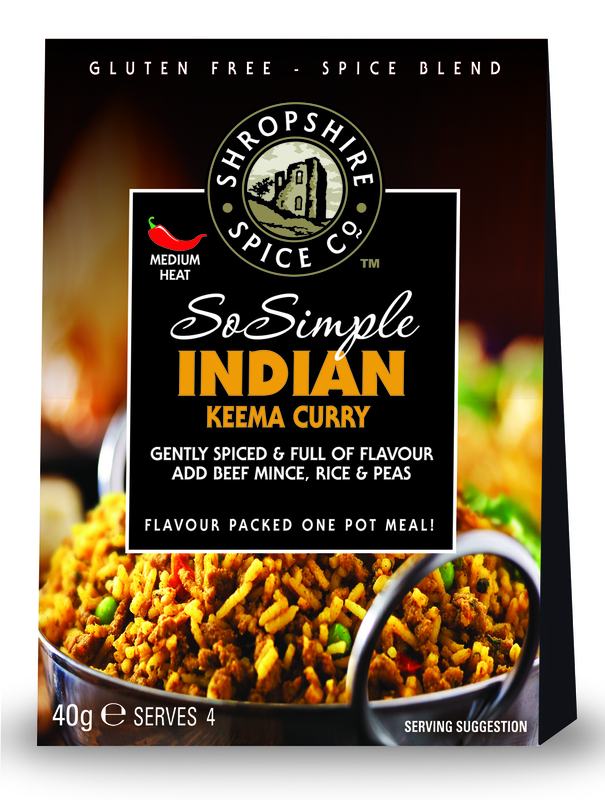 Gluten Free Indian Keema Curry Spice Blend- gently spiced & full of flavour just add beef mince, rice & peas. Ingredients: Onion Salt, Garam Masala, Brown Sugar, Cumin, Onion Flake, Tomato Fines, Garlic, Red Pepper, Ginger, Yeast Extract, Turmeric, Coriander, Roasted Onion Powder, Fenugreek Seed, Chilli Powder, Black Pepper, Lemon Juice Powder, Coriander Leaf. 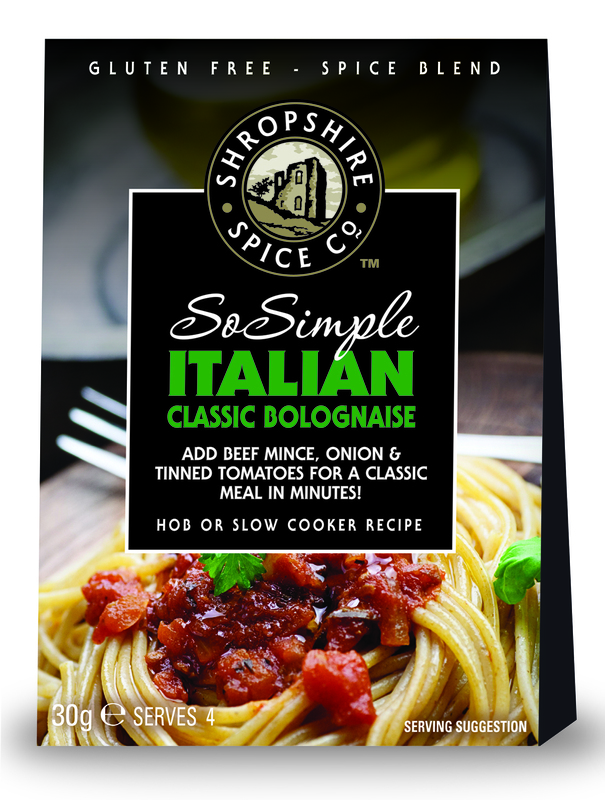 Gluten Free Italian Classic Bolognaise - Add beef mince, onion & tinned tomatoes for a classic meal in minutes. Ingredients: Rice Flour, Onion Salt, Mustard Powder, Oregano, Garlic Powder, Basil, Roasted Onion Powder, Rosemary, Black Pepper. 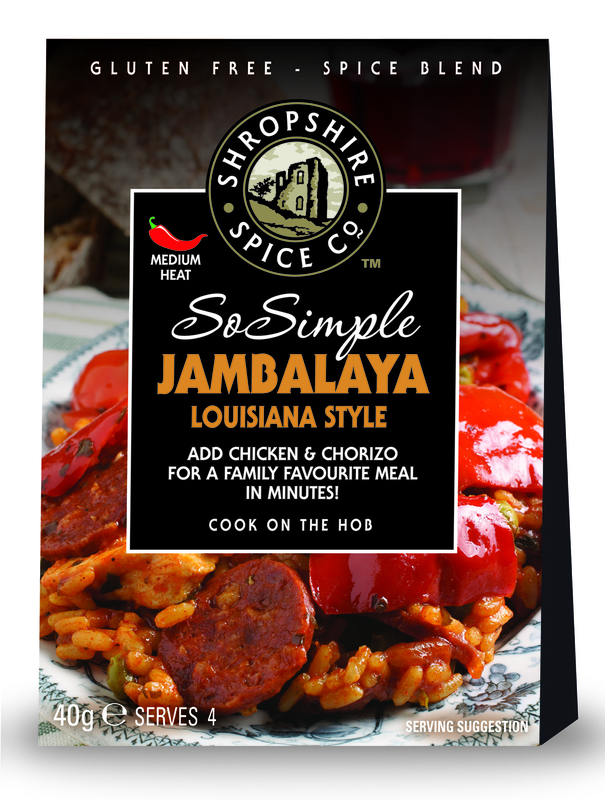 Gluten Free Jambalaya Louisiana Style Spice Blend - Add chicken & Chorizo for a family favourite meal in minutes. 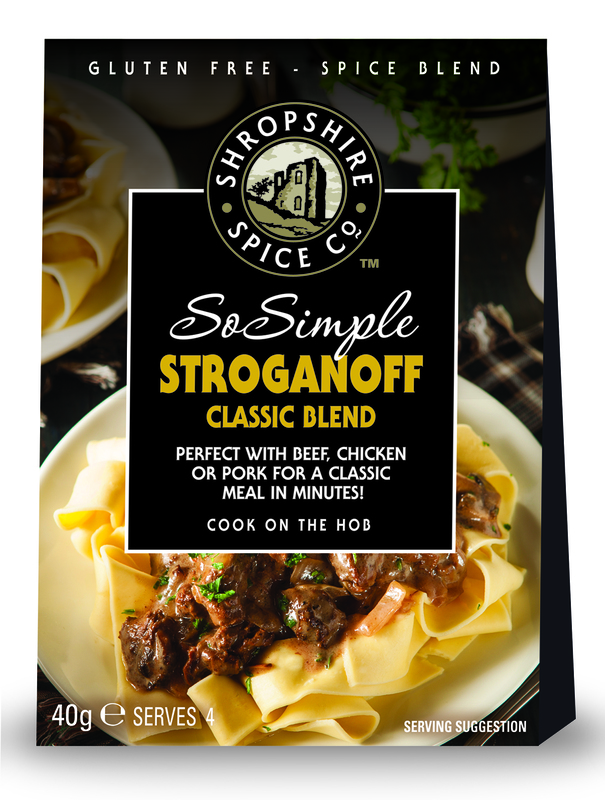 Gluten Free Stroganoff - Perfect with beef, chicken or pork for a classic meal in minutes. 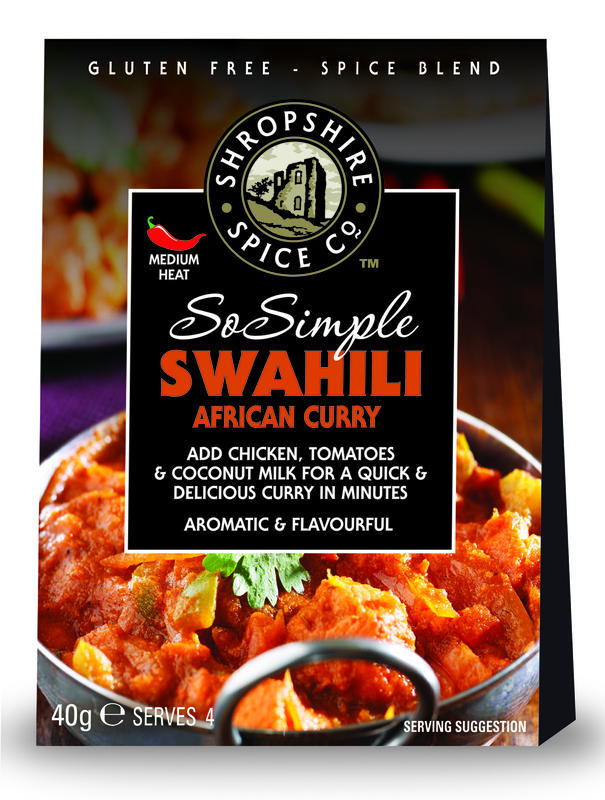 Gluten Free Swahili African Curry Spice Blend - Add chicken, tomatoes & coconut milk for a quick & delicious curry in minutes.